Searching for Window Cleaning Services in Ivy? Ivy is the perfect place to have exterior cleaning done. That’s because of where it located. It’s located in an area of Virginia that sees its fair share of rain and snow. All too often; homeowners will pull out their hoses come spring and try and wash off dirt. That is only temporary as pressure washing can eliminate the dirt and grime for good. Call Cavalier Window Cleaning & Power Washing for more details. Of course there are also the gutters and windows that become affected too. That same dirt and grime that has been building up all winter long will finally need disposed of. That’s unless you want absolutely no appeal to your home. Appeal is what sets the home apart from ones that have nothing doe to it. We see this a lot! A dirt siding has no practical values. It will look poorly installed and also like it should be on the other side of the tracks. How long have you been staring at those streaks on your windows in the house? If you have tried over 7 over again to get them off; then you’re going to have to resort to a professional cleaning service. Sure it will cost you more than a bottle of cheap window cleaner solution. Hiring a professional cleaning service is what separates your windows from dirty windows. Dirty windows can lower the property value of a home and make it look as though no one cares for it. Take advantage of our service to see what you’ve been missing. As far as window cleaning goes; we’re the experts! We’ll clean your residential windows on the inside and out. 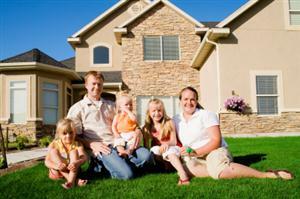 No matter if they are on the first or second story; your widows, of all types, will be carefully taken care of. There are so many types of exterior coating for the home these days. It’s hard to pick just one but we have found siding to be the top choice for a lot of homes in the area. That’s because siding protects the home; although it gets dirty very easily. Siding gets dirty because it’s exposed to the weather in Virginia. Vinyl and wood siding often take the brunt of the abuse as they are available in lighter colors which show dirt and grime though. We can perform window cleaning as well as professional siding power washing. If you are looking for a Ivy window cleaning & Power Washing Company then please call 434-823-1737 or complete our online request form.